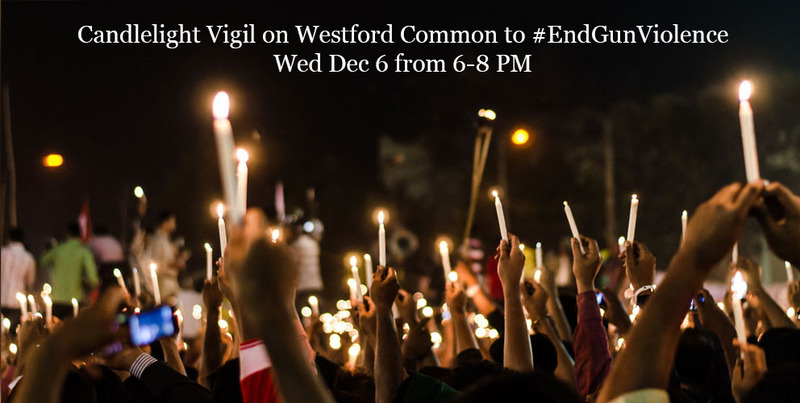 First Parish Church is partnering with Westford Coalition for Non-Violence, Indivisible Westford, Live for Liv and The Westford chapter of the American Foundation for Suicide Prevention to sponsor a candlelight vigil on Westford Common for victims of gun violence on Wednesday December 6 from 6-8 pm. 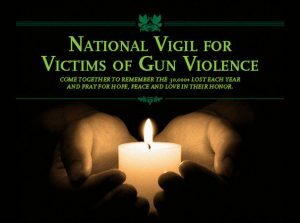 The vigil is in remembrance of the five year mark of the Sandy Hook Elementary school tragedy,as well as the 500,000 American victims and survivors of gun violence since December 2012. 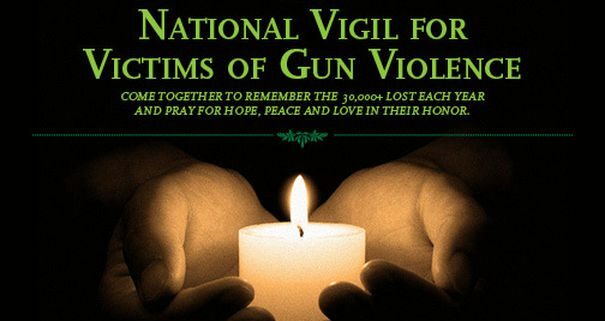 It will be part of a nationwide tribute in partnership with the Newtown Foundation, Newtown Action Alliance, Brady Campaign to Prevent Gun Violence, Everytown Survivor Network, Faiths United to Prevent Gun Violence, Moms Demand Action for Gun Sense in America, Organizing for Action, States United to Prevent Gun Violence, St Marks Episcopal Church and Women’s March. Please contact Beth Perkins or Tom Clay if you would like to get involved.